I think about showbiz all the time. My first novel is about an elderly former Las Vegas magician, pulled unwillingly back into the limelight after decades in prison, and it’s all thanks to my career as a music journalist and working in radio. Countless times I’ve found myself lurking awkwardly in the back while otherwise-polished slebs have held their heads in their hands and begged their tour managers for an advance on tomorrow’s per diem, or thrown a quiet tantrum in a lift. Fundamentally, I think fame has the infinite potential to turn people bad. So it’s perfect novel territory, right? I read this soon after completing my first novel and it sent me into a panic. I knew I loved the book very dearly, but I was afraid that it had concisely and beautifully done already what I was trying to do, namely to illustrate that gorgeous middle ground between twinkling fame and grey normality. But then I figured authors have probably been doing that for centuries and tried to ignore it. 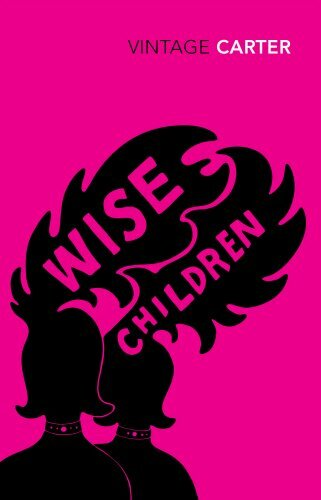 Through dualities of vaudeville and thespian theatre, Wise Children is a magical snapshot of showbiz in its most domestic and grubby settings. Unbearably sad characters permeate the book, all striving to keep their chins up in the face of extreme familial upset and barely-masked disappointment, and to witness it through Dora Chance’s eyes is gutting, hilarious and miserable all at once. 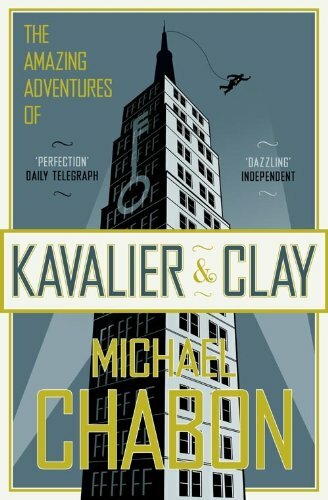 It’s ostensibly more about the world of comic books than showbiz, per se, but Chabon’s best book says so much about the nature of fame, the competition it creates and, most importantly, the risks an artist takes to get their work in front of the public, elevating the act of creation to a matter of life and death. And y’know, it’s also a properly ripping tale, which helps: Nazis! Jewish icons! Gruff comic book magnates! Crises in sexuality! Salvador Dali cameos! I can’t think of a book where I’ve missed the characters this much long after reading it - I read it a few years ago and still I wonder if any of them might be alive today. I read Didion’s most famous work after I heard Jon Ronson say in an interview that he learned a lot from her journalism, and it’s safe to say that the two share a base inquisitiveness when it comes to showbiz. 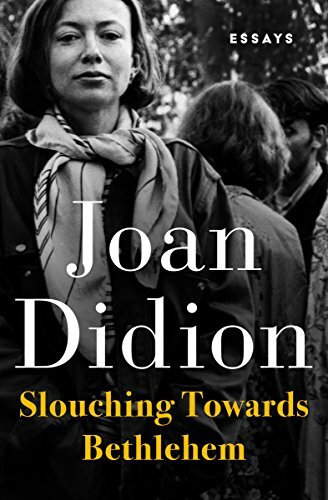 Like Ronson, rather than steaming in with an agenda, Didion observes the subject and allows their natural shape and behaviour to come to the fore. And the cast list is impeccable. If you’re reading this essay collection I’d skip straight to ‘John Wayne: A Love Song’ - there’s a scene Didion relays in which John Wayne eats lunch on a film set with Dean Martin and various other Hollywood luminaries, and it’s just electric. Martin complains about having to stay on the set for longer than he’d planned, and John Wayne talks about getting fat, and somehow that says more about celebrity than anything else. The mundanity of it is perfect. It would be a stretch to say I know John Doran, but as a music journalist I have written for him quite a lot over the last decade. And while I’ve always bowed to him in matters editorial and literary, I honestly never thought his memoir would be so deeply affecting and candid on addiction and the general tumble of life in the media’s gutter (for that is where music journalists reside, folks). 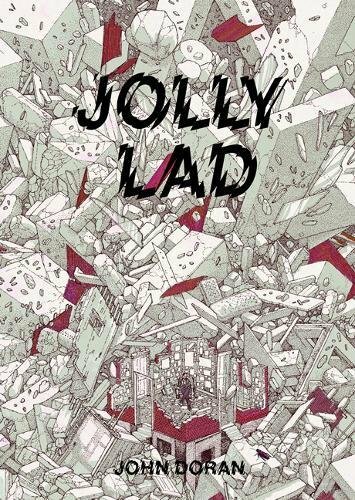 The celebrity cameos that flash throughout this book are brilliant - encounters (direct or otherwise) with Mick Hucknall, Kanye West, Bobby Gillespie and several denizens of the black metal community are beautifully rendered and, crucially, beautifully human. Doran really gets showbiz, as well as the tempting evils that accompany it, because he’s SEEN it all. 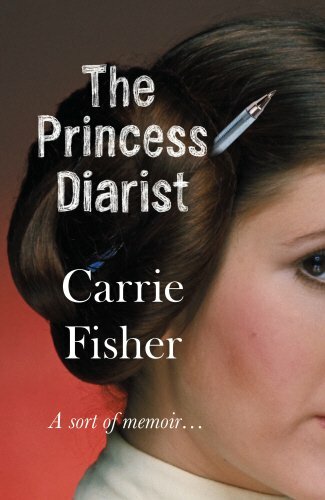 Carrie Fisher’s recent death only makes the freewheeling tales in her final book appear even more coarsely joyful. It would be wrong to label her various episodes and dalliances ‘confessional’, because even as a naive kid she managed to completely own her decisions - what a rarity in showbiz. Obviously if you’re a Star Wars completist you’ll find the diving-into-cabs-with-Harrison-Ford and the actually-shagging-Harrison-Ford bits very interesting, but it’s the warmth of her stories that shine through. Even though she was eaten up and spat out by showbiz in a very public way, her permanent sense of amusement at the life she’d carved for herself is clear. Her and showbiz, showbiz and her: here, it’s a symbiotic relationship. I highly recommend the audiobook for this one, btw. You don’t need me to tell you this, but Steve Martin is a comedy auteur, an exacting, emotional song & dance man whose act spiralled so brilliantly in and out of control that it sent him the edge of his ability to tolerate himself. As far as showbiz is concerned, this is the good stuff, the meat. 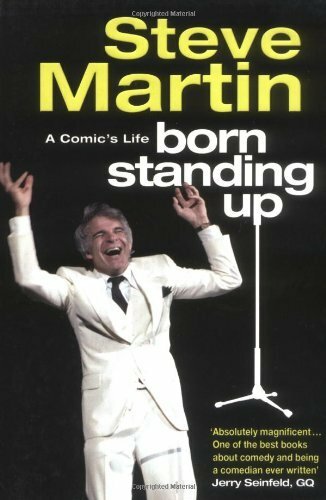 I find it so fascinating to see what effect celebrity has on pure people with unstoppable talent, and Martin’s journey from variety circuit fringe concern to stadium-filling slick-o comedian displays it perfectly. It’s a miracle Martin was able to hold it together (mostly). Especially when I was writing the flashback scenes in my novel, I had Martin’s early days in mind - unglamorous, punishing tours that might lead to something better, but more often than not just lead back to the motel room. And he tells it so sweetly. 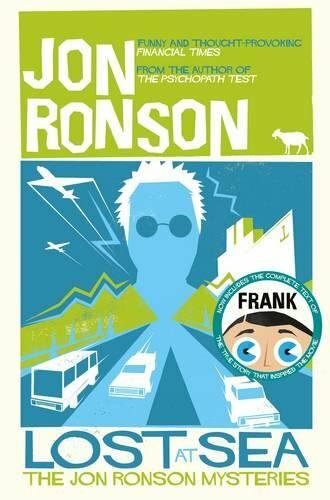 When he’s thrust into the company of complicated people, Jon Ronson’s response is to be quizzical rather than dive straight for the jugular. I like that about him. In Lost At Sea, he encounters many, many middling luminaries from the world of showbiz and, rather than ask them where it all went wrong, or why they aren’t on telly any more, or even why they are still on telly, he simply lets them talk. So when he’s chatting to Noel Edmonds, we see the beardy quiz show host desperately attempting to appear mysterious rather than goaded into making proclamations, which is infinitely more interesting. The same goes for Jonathan King and Robbie Williams, but perhaps the most revealing is Ronson’s encounter (or non-encounter) with American TV psychic Sylvia Browne on what sounds like a nightmarish themed cruise. When Unbound told me they wanted to publish my book, I immediately downloaded the audiobook of Stephen King’s ‘On Writing’, because I imagine that’s what you’re supposed to do when you there’s a chance you might one day be considered alongside ‘proper’ writers (LOL). 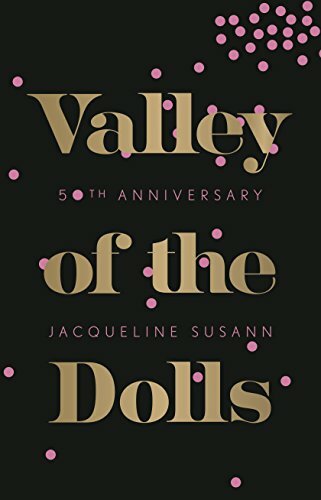 There are many useful and interesting tidbits within King’s book and it is paced like a thriller, but he keeps on coming back to Jacqueline Susann’s ‘Valley of the Dolls’ as an example of bad writing with what he sees as inexplicable sales volume. It was at this point I began to doubt Stephen King. You can accuse Valley Of The Dolls of many things, but I really don’t think poor writing is one of them. Schlocky, histrionic, pointedly vacuous writing: sure. But bad writing? Calm it down, Steve. I can’t think of a document that better nails the broad strokes of fame’s crippling allure. You can find out more about Daniel's book on Unbound here.